Providing the ultra modern look with this wall hung vanity. 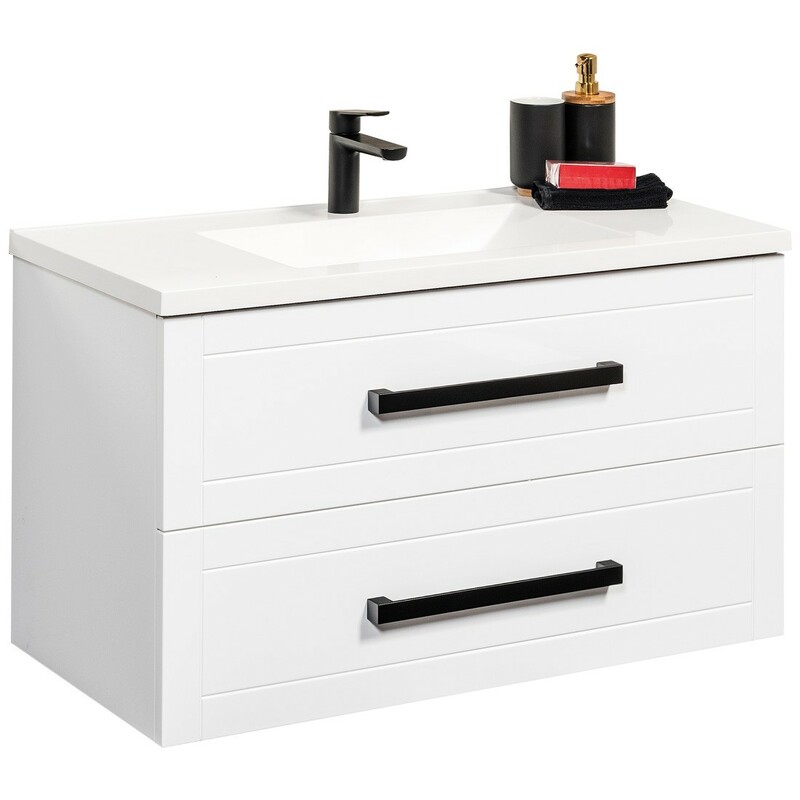 Practical and stylish, the Heide 900 Wall Hung Poly top Vanity provides easy-to-access storage for bathroom items and ample counter top space for additional items in your Bathroom. Pair with black tapware and black handles for the perfect monochrome look.